573.00 sqft. 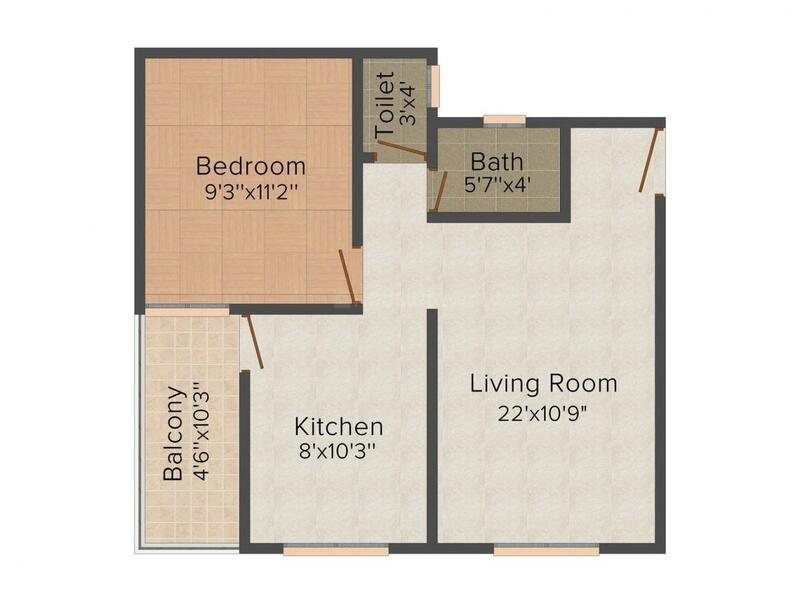 - 891.00 sqft. Akash Arcade is designed to provide unparalleled privacy to its residents. Creatively designed homes ensure that you enjoy every moment with your family. The project is inspired by the perfect blend of aesthetics and architecture. The beautiful interiors perfectly compliment the equally elegant exteriors. Sitting in a tranquil environment, away from the hassles of life, you will surely feel cocooned in your dream home at Akash Arcade. Adding to these the fact that this luxurious property offers unimaginable space, cross ventilation for natural light and breeze and privacy becomes the icing on the cake, making the project very tempting to stay for a lifetime. 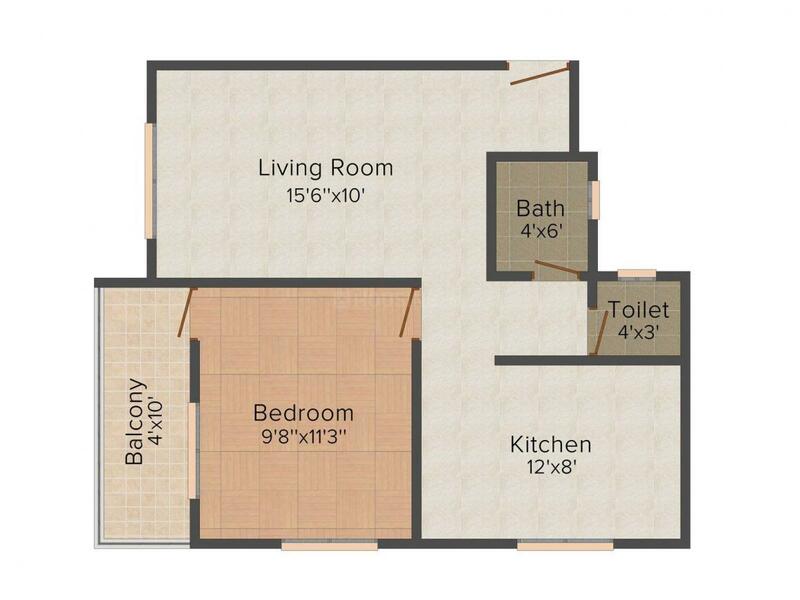 Carpet Area : 455.00 sqft. 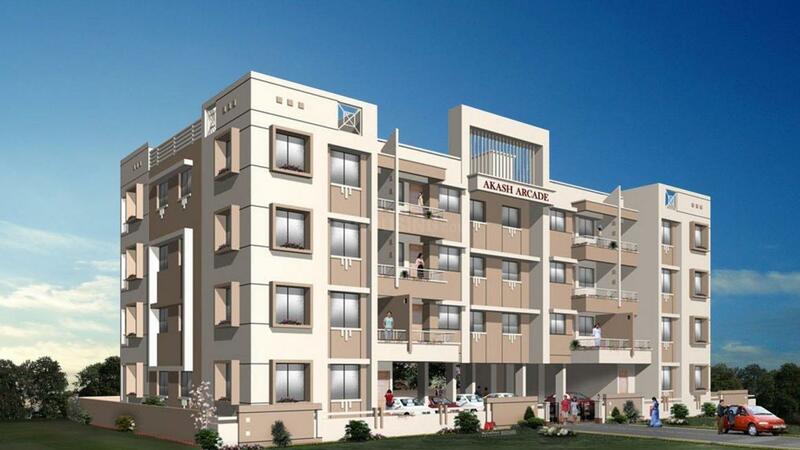 Salunkhe Nagar is one of the fastest developing localities in Nashik. Sitting just of Trambak Road, it enjoys proximity to various schools, colleges, malls, restaurants, hospitals and other recreational centers. Trimurthi Chowk is at a walkable distance from the site and from here one can avail bus services at regular intervals. Maratha High School, Ras Bihari English School, JS Runtga High School, KTHM College, KBT College of Engineering and Panchavati College are some of the educational institutions in the vicinity. Hospitals like Shatabdi Super Specialty, Bhagwati, Sushil Eye and Brahma Laser Centre are also close by to ensure immediate medical attention as and when need arises. Ginger Hotel, Hotel Panchvati Elite and Hotel Ibis Nashik are nearby as well. Gandhinagar Airport is situated at a short driving distance. Nashik Thermal Power Station is a short drive away from the site. 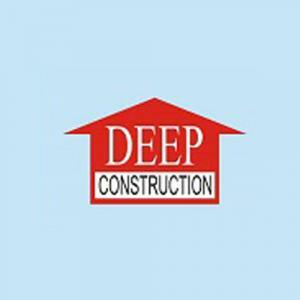 The location enjoys being secure, tranquil and pollution free and hence is quite sought after.